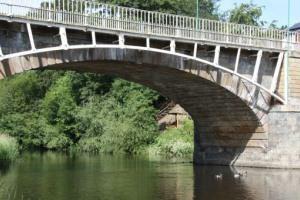 Themed walks – Heritage, foraging, dog and family friendly, pub lunch, singing, treasure hunts. Guided walks – Walks to suit all abilities from 4 to 15 miles. Foraging walks featuring Edible Newtown, History, Heritage and Town walks, dog walks, walks suitable for buggies pushchairs and mobility scooters, stroll and sing and picnic. Treasure Hunts – Nature treasure hunt for all the family. History treasure hunt based on Newtown’s textile industry and featuring "hunt- the -sheep" all over the town. Self-Guided Walks – Pick up a leaflet and walk with friends. BY BUS: Newtown bus station is located in the town centre off Back Lane (opposite Argos) with services from/to Shrewsbury, Llanidloes, Machynlleth, Llandrindod Wells, Builth Wells, Merthyr Tydfil, Cardiff, Aberystwyth, Birmingham and London. BY CAR: A458 from Shrewsbury to Welshpool; then A483.